I am used to ‘loitering with intent’ and did it for the last 9 Cornsheds: sometimes when people are relaxing and out of their normal way of being, emboldened by a bit of alcohol, they want to talk. They have friends, they are connected, but speaking with someone else helps. Most often, pace ‘Catcher in the Rye’, I just ended up ‘shooting the breeze’. I began to learn the basics of my current full time job by being at The Cornshed. Until this day, I have never been to a beer festival in my life: standing around for long periods of time in a venue surrounded by many many delicious beers is something that would be too much temptation for me. Yet here I am today, by the grace of the festival founder, to loiter with intent for 9 hours wearing my Cornshed ‘Godsquad’ shirt….. to talk, to listen, to drink beer (without getting trashed). …if so, forgive me: I am old and rather tired at the moment. Recently, I got to thinking about what propelled me to change jobs/vocation (since 2/3/15, I have ‘left’ the church…well not really- I work for the NHS as a mental health chaplain), or persuaded me that I would be ok in doing so. Back in 2008, the person who runs our local rock festival asked me to be the ‘official chaplain’. I said yes- I had hardly any clue as to what that meant, but I liked the person who ran it, liked music and was starting to become disillusioned with Revs who spent more and more time in church and consequently had no real friends outside the church. Plus it was summer, and I was on sabbatical. Someone asked me what I did as Cornshed chaplain and I said ‘loitering with intent’. A lot of time I just spent doing general help, making tea etc, but I also got chatting. Initially that was just banter, but I also learned confidence in an environment where I had little. That is why I do not fully believe people who say ‘I don’t do small talk’- you can learn. After a while, people began to talk, both in the crew and in the festival- I had become familiar, ‘safe’, maybe. Occasionally that got ‘deep’- you are in a festival, normal rules don’t apply and alcohol loosens tongues. On reflection, that is pretty much what I do on wards (minus the alcohol); there is a lot of hanging around, joining in, making the first move to find common ground…then doing it again…and again…and again until you become ‘known’. Although much of what I do is not predictable, the year has a certain rhythm to it. This week is ‘The Cornshed’ week in the village where I live. 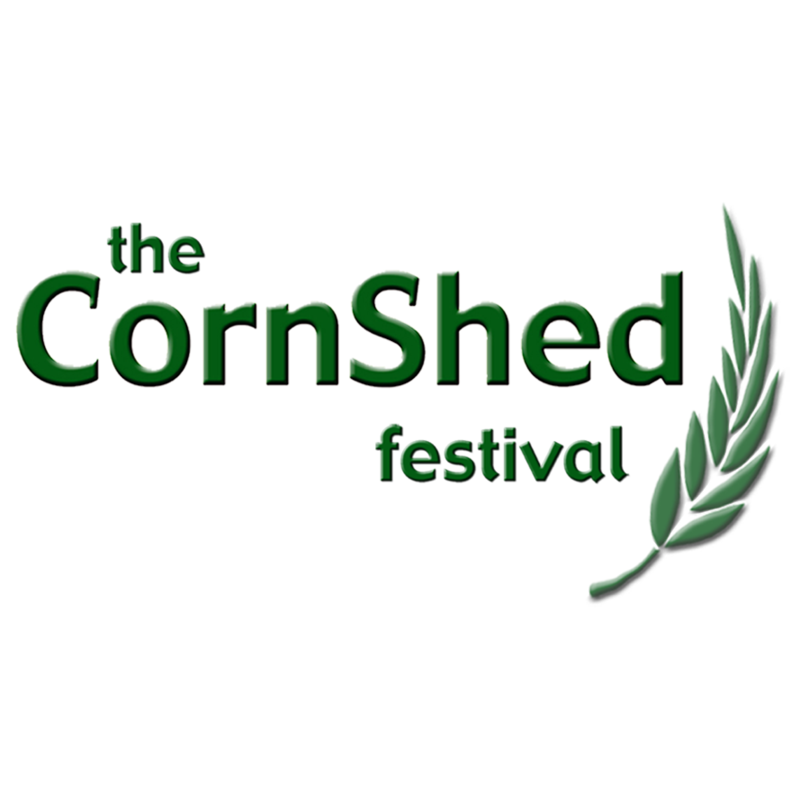 For those who don’t know, ‘The Cornshed’ is a local rock festival. On Friday night there will be around 500 there and on Saturday around a 1000. 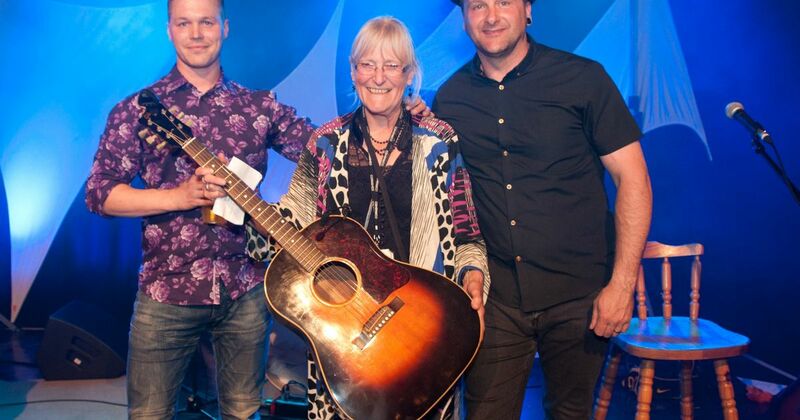 It began 27 years ago as a fundraiser for a local charity, following the sudden death of the festival founder’s husband. Now it is bigger, but still has the same ethos of cooperation, community and fundraising. Occasionally we have a ‘name’ there, but it doesn’t seem to matter. The founder, Judy Kitching (M.B.E! ), is still at the helm, but supported by a large team of volunteers- many professionals in their field- who give their time free to run it. Make teas, talk, empty dishwashers and occasionally do heavy manual work. I have the average superhuman strength of a weedy minister who sits at desk and drinks tea. Sometimes I suprise myself: this week I lifted some concrete blocks and did not scream at the effort or cry with pain (ok: I did that later in the car whilst no one was looking). Anything just to be around people, learn their names & their stories. I eat food and drink beer. I like doing this. People tend to talk when they are doing these things (see 4 though). At the Festival I wonder round and talk to people; mostly it is just random, everyday stuff, sometimes it goes deeper. Maybe it means that some people I natter to get enough confidence in me to talk elsewhere during the year. Most times as people talk I have that sensation that Moses did: ‘take off your shoes, for you are on holy ground.’ Sometimes people ask me to pray. It is best to try step 3 between 2 and 4 pints for most people. People buy me drinks or offer to buy me drinks (I shouldn’t write this: they will stop)….I have to develop the knack of saying ‘No thanks; I have had enough.’ Sometimes I find this very difficult (Maybe that was too honest: sorry, I will slip back into character). People try and wind me up. I never mind this: at least you are talking. I can cope more with opposition, banter and difference than people who are sheened in middle class niceness. 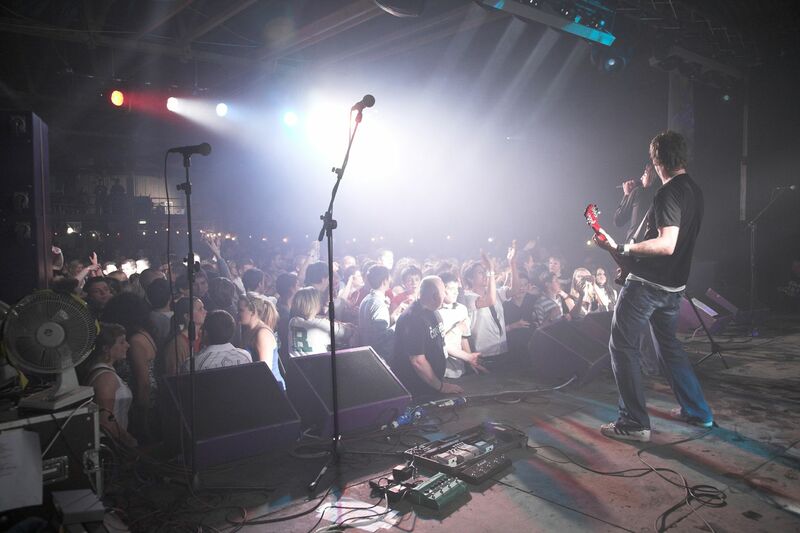 I have a lot of fun: people, noise, live music: what is not to mind? Sometimes I wonder ‘What the hell am I doing here?’ & I haven’t got a clue what to say or do. ‘Loitering with intent’ is sometimes very lonely. I do love it: this year I am the official MC in the second venue. Can’t wait…. 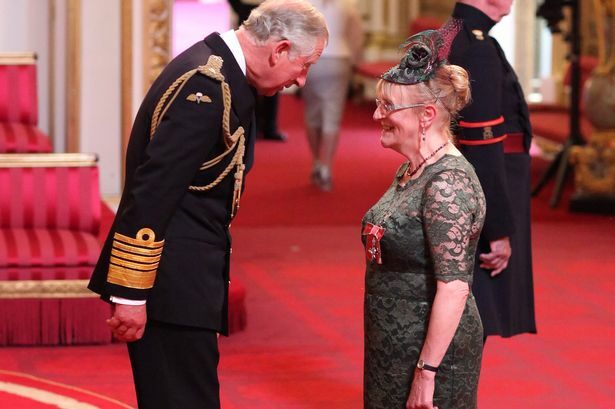 Between the talking, the booze, the music and (often) the frantic praying (yes- to all my friends who see me- I actually do a bit of that on top of schmoozing and freeloading) I got talking to loads of people: many I knew, albeit vaguely, although some I had never met. I think most of those were intrigued by the official shirt with ‘Godsquad’ on the back. One thing that came across was the number of people who remember the ‘no’. They may have met many graceful and loving people of faith, but the one thing they will recall is the one- usually the authority figure- who said ‘no’. Over time these stories have no doubt been shaped and refined- we all do that with stories that have made us- but the ‘no’ came out pretty strongly. The Vicar who imposed conditions that seemed harsh on a wedding or didn’t allow a baptism, the Christian who seemed to have little love etc etc. Even when any active faith had practically gone the memory of the ‘no’ remained. At first I mused as to how many of these leaders had been seen as ‘strong and decisive’ by their own congregations, but then I began to think about another leader who talked about not judging lest I be judged. And then I began to think of that same leader: he seemed to say ‘yes’ to people who were ‘outside’ and I began to realise why…..